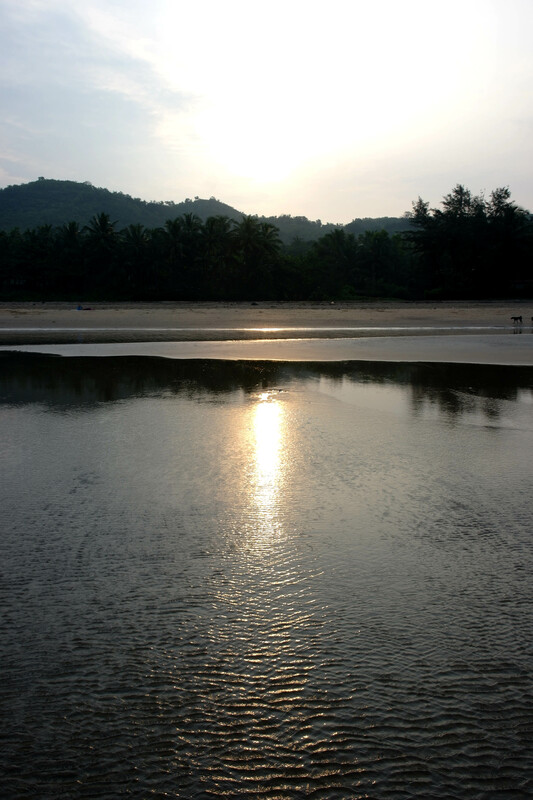 Gokarna. 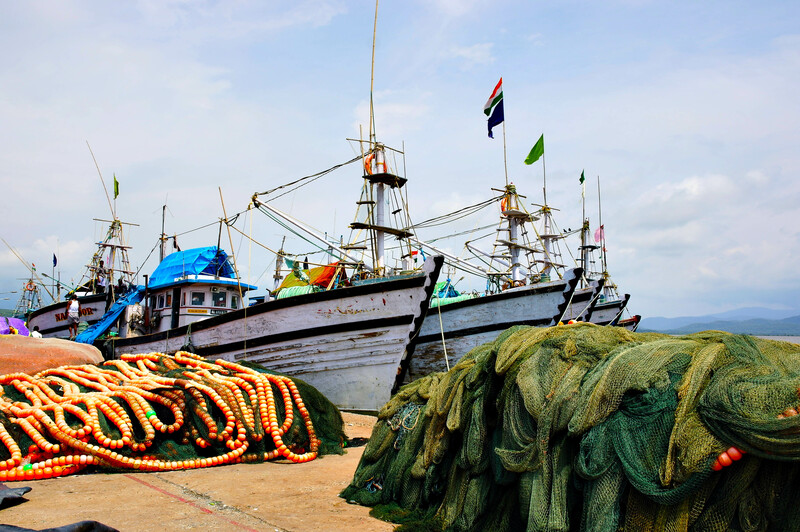 A small South Indian village lies at the coast of the Arabian Sea. Sharing God’s creation with the Middle East – Yemen and Somalia. We stood on a cliff infront of Sri Rama Temple. What we saw was breath-taking. Sea hawks and butterflies decorate the skies and sounds of crashing waves brought peace to the ears. 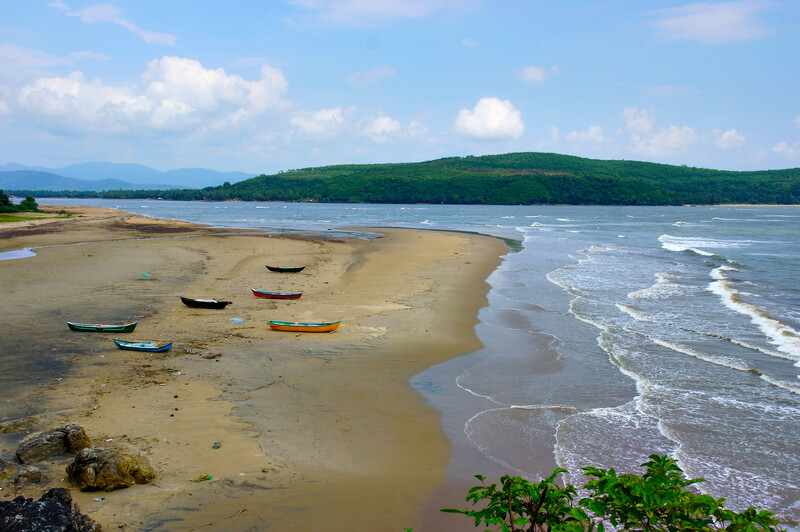 Gokarna is located an hour south of the Goa and it’s around 450 kilometers (280 miles) from Bangalore, the state capital. The nearest airport is Dabolim, in Goa. From there it’s a four hour drive to Gorkana. 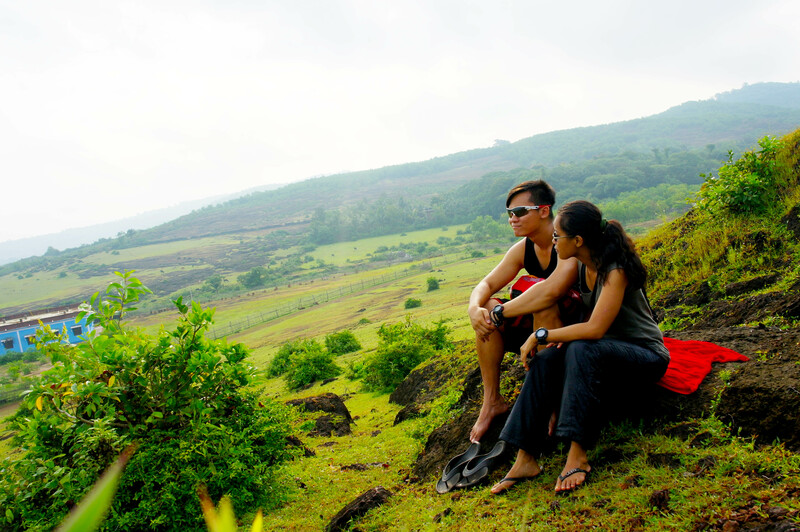 Alternatively, trains on the Konkan railway stop at Gokarna Road station, 15 minutes from town, as well as Kumta and Ankola stations, both around 25 kilometers (16 miles) from Gokarna. 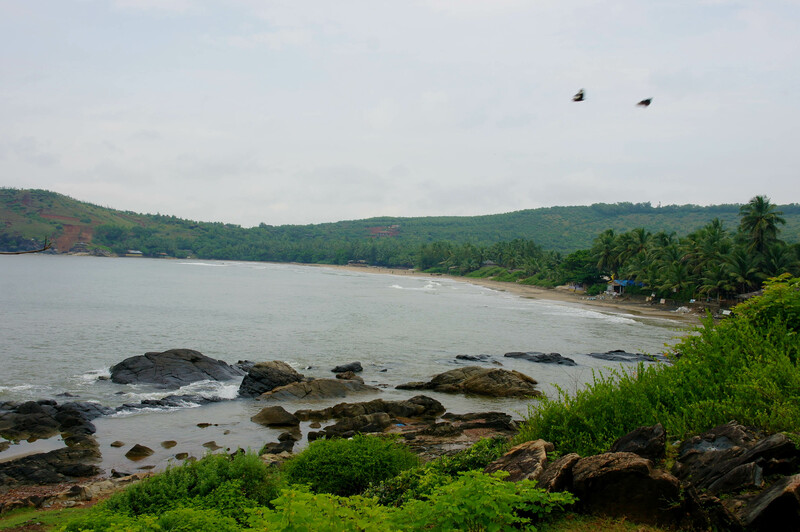 Gokarna is also well connected by bus from major cities such as Madgaon in Goa, and Mangalore and Bangalore in Karnataka. It’s 4am and fishermen were getting their nets and boats ready for the day’s catch. Thoughts circle about on what I want to do today. 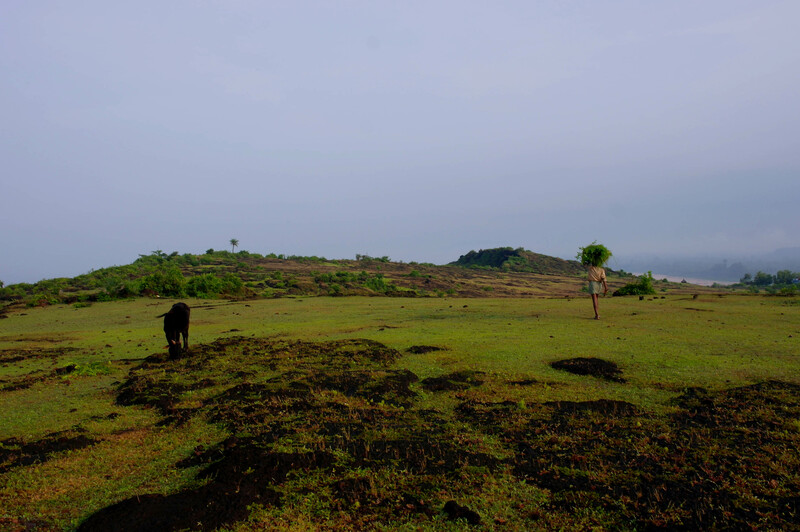 Trekking the four ghats (Eastern Ghats and the Western Ghats, they run parallel to the coast on either side of the Deccan plateau and meet at the southern tip of India) or just sitting still inhaling the salted air. 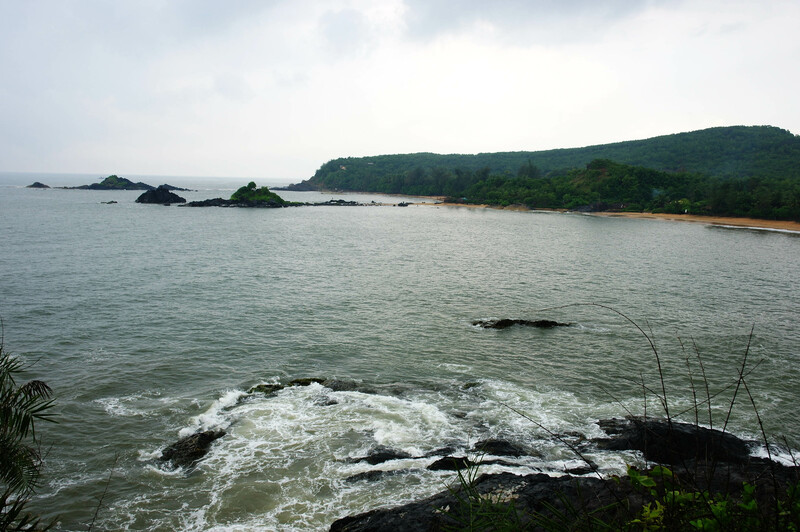 Gokarna is a town unified yet, divided by 4 ghats. We are now at Gokarna Beach. 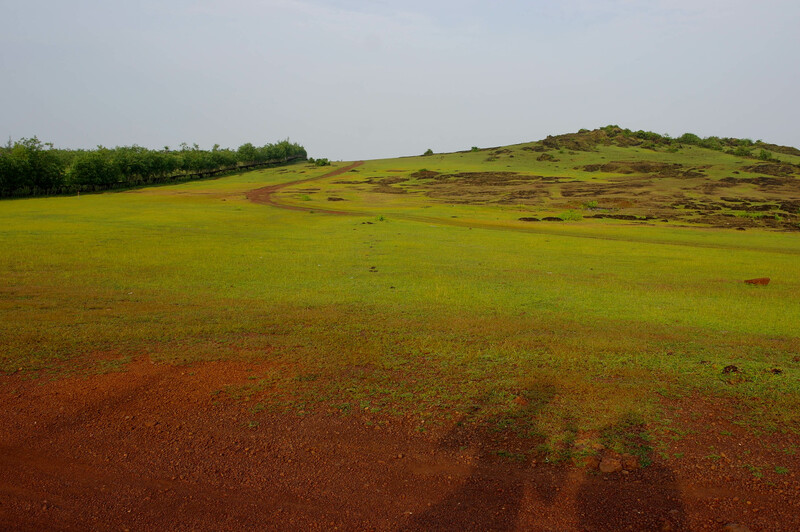 Beyond this beach lies a beautiful green plateau leading to Kudle Beach. At Kudle, you can see a little bit more foreigners. Shacks and Chai shops occupy the whole stretch of Kudle. 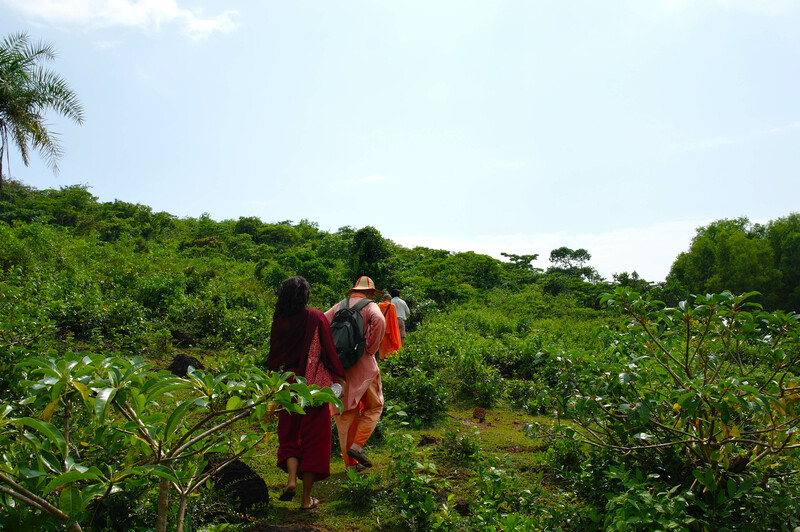 However, the sound of “OM” resonates in everything and everyone with an invisble melody, calling out to sunseekers who dare trek through it’s unchartered, rocky domains. This is where the party begins. 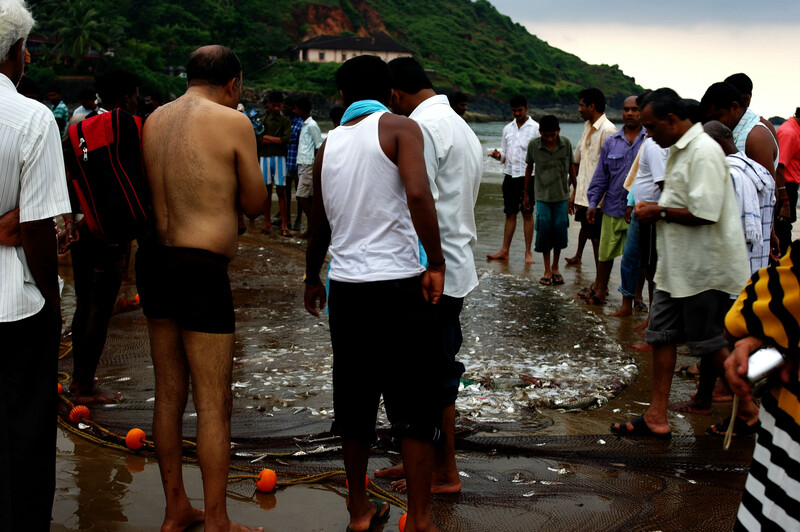 Western and Indian foreigners flock to OM Beach, basking in it’s glory. There’ll be bonfires at night and hippies playing guitar under the moonlight. But wait. 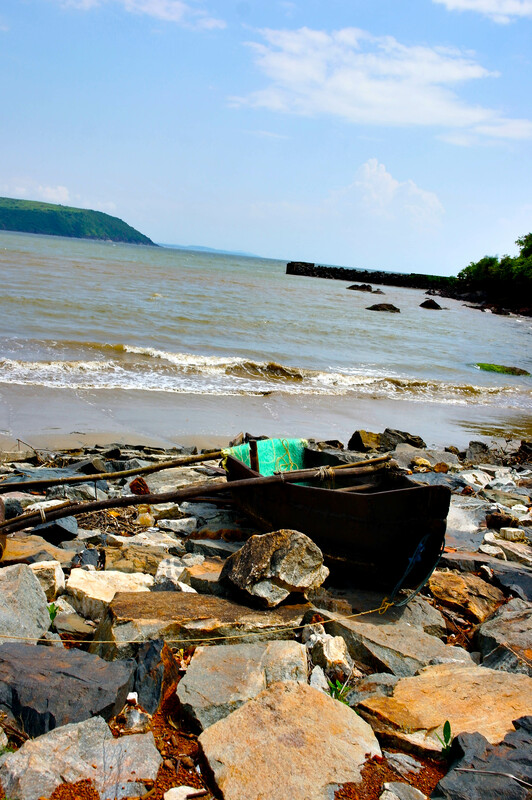 There’s more to Gokarna than just this. Enlightenment can be found everywhere if you look hard enough, or ironically, not at all. Curiosity besiege us to discover what lies beyond OM. Prettier beaches? A more magnificent landscape? or just the journey itself. Only the bold will dare to cross the thick forest leading to Half-Moon Beach. One have to pass through the thick forest, barbed wire and cliffs. 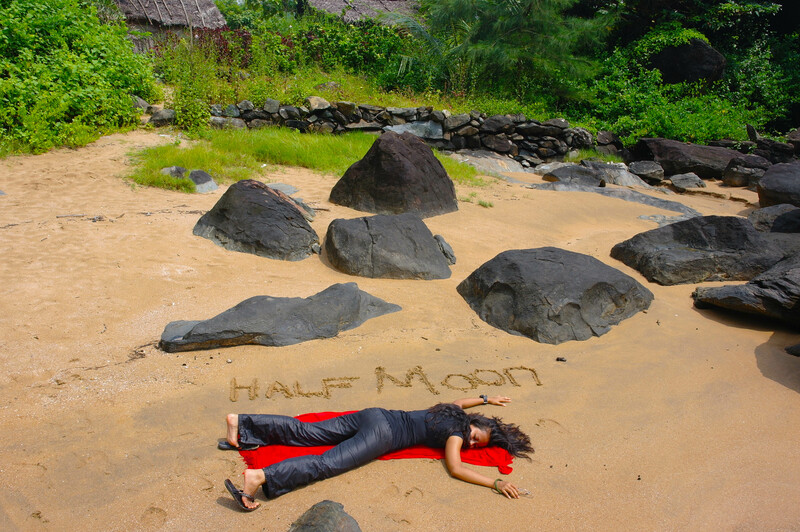 At Half-Moon, we hardly see any other foreigners. It’s just us. For now. There were some shacks, more black, sharp rocks and bigger crashing waves. I feel like I’m in the movie, The Beach. To get to every beach, one must be able to cross mountains, forests, cliffs and plateau. The terrains get harder each time. 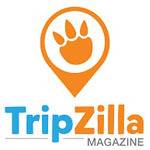 However, the ability to reach our destination and see the magnificent sights, makes it all worthwhile. Just one more mission to achieve: To reach Paradise. Paradise Beach. The best out of all the beaches, was so they claim. 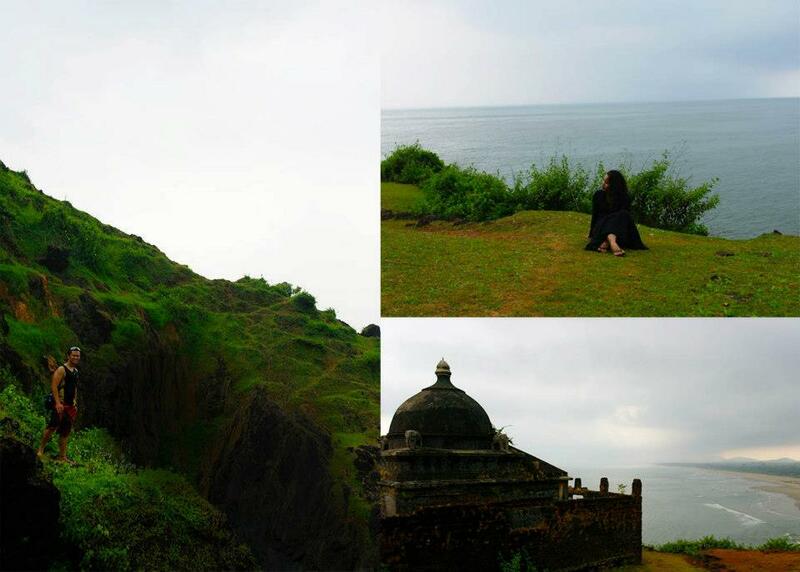 Located at the far end of Gokarna. The fourth and final beach, where sands are barely untouched and white as snow, water as blue as Lake Camiguin in Philippines. To reach Paradise, one must learn to stay calm and trust his/her own instinct and follow the signs. 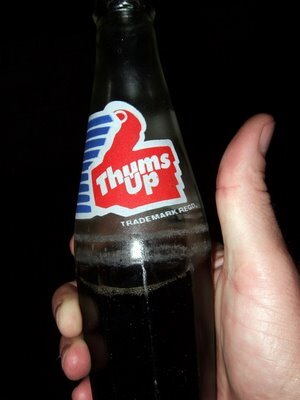 Now, we need a “Thumbs Up”. 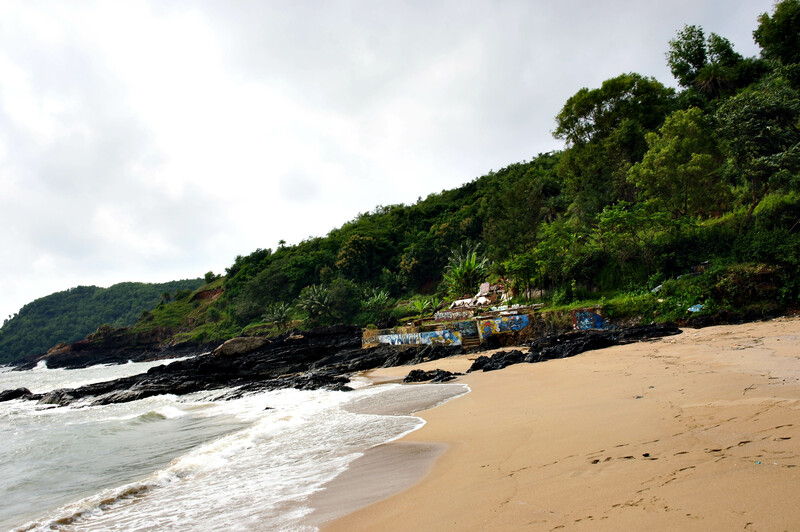 We have finally reached the much raved about beach in Gokarna called Paradise. 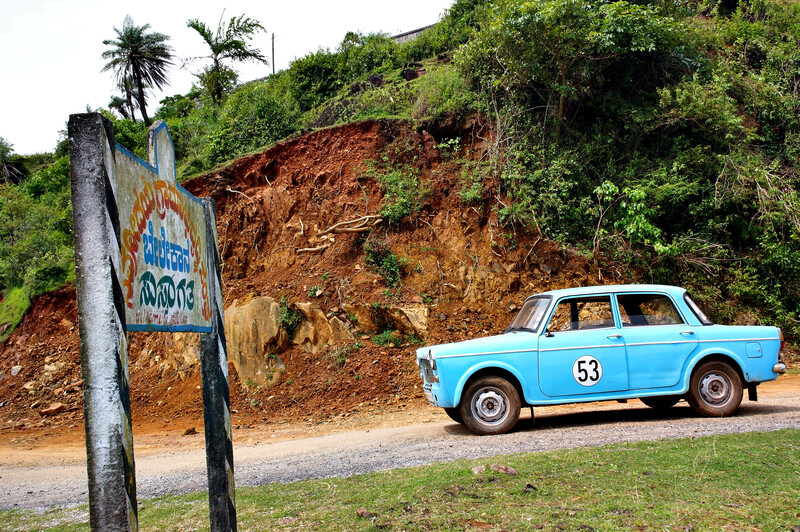 Instead of trekking the dangeorus terrain, we were offered a ride in an antique Fiat Padmini, the last of it’s kind of that model in 1996. 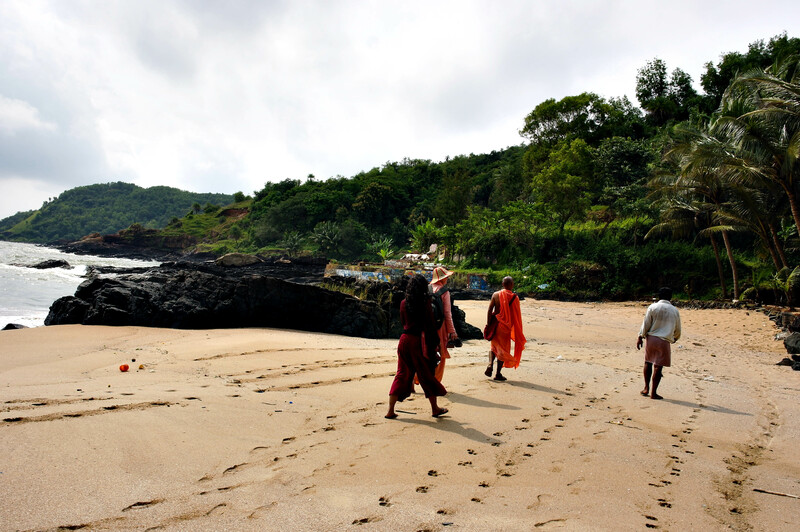 While going out for breakfast, we were invited by a Sadhu called Swami Giridhara whom we met at a temple on a cliff dividing the Main Beach and Kudle Beach. We were lucky to be in the company of another special Swami named, Yogaratna, Saraswati who was born in Paris, France, of Australian parents and raised in India. 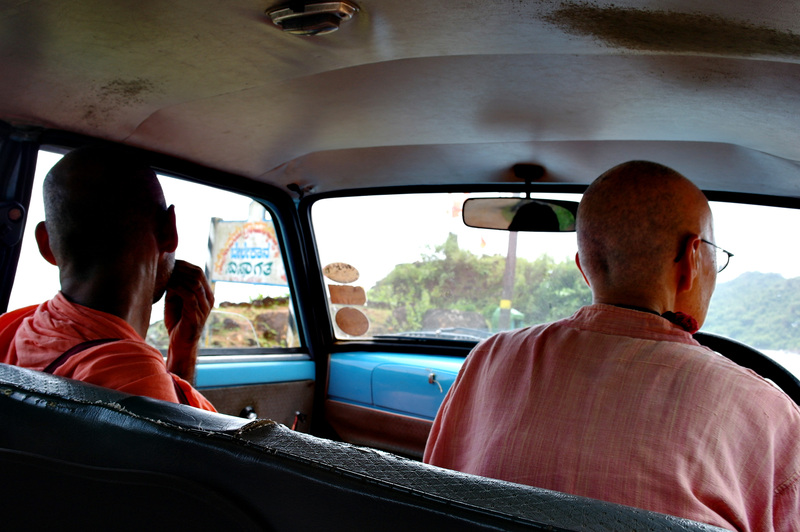 Cruising along the coast of a fishing village in a vintage Fiat Padmini, accompanied by two Swamis. Swamiji Giridar from Rishikesh and Materji Yogaratna.